Over the last years, the bustling city of Athens is growing into one of the most important cultural centers in southern Europe. Many museums and art galleries are scattered all around the city, offering a great insight to the national culture and its connection with the world. In summer, tourists pass Athens quickly and head to the Greek islands, but in winter Athens seems to be under artistic renaissance, hosting international exhibitions and even art biennales, such as the newly established Athens Biennale. If you are visiting the city off season, here are our suggestions on the best Athens museum exhibitions for winter 2015. In the exhibition “Hygieia: Health, Illness and Treatment from Homer to Galen” that is organized by the Cycladic Art Museum, visitors will get the chance to see first hand the tools and techniques that the Ancient Greeks used to lower pain and cure diseases. With a collection of more than 300 findings, the exhibition will last from November 20th, 2014 to May 31st, 2015, providing key answers to scientific and historic theories about the past. The display covers the period between 1,200 BC and 300 AD and is divided in three parts: Health, Disease and Cure. The starting point is the Homeric period, when illness was seen as a punishment from the Gods. Through many historical periods and figures, the exhibition leads to Galen and others who followed scientific methods to heal patients. Also the showcase presents equipment such as dental pliers, used at the time in medical procedures. Operated skulls and jaws with tooth addendums are shown, along with little drug bottles that people kept in the house. Items from 41 Greek and European museums have been gathered to create this extraordinary demonstration. 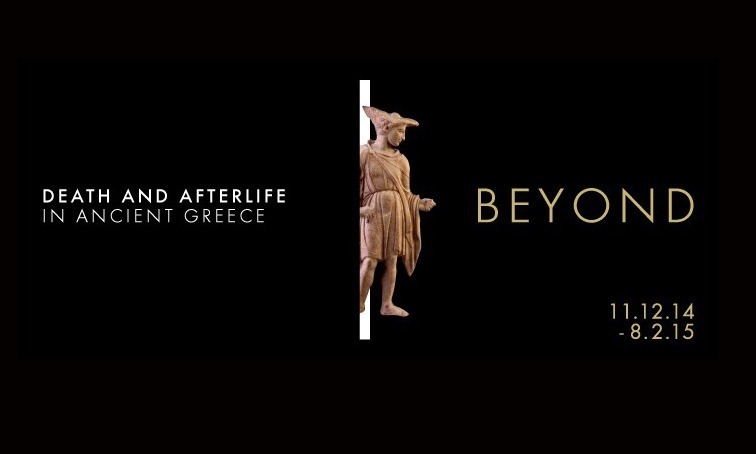 One of the most interesting Athens museum exhibitions for winter 2015 is “Beyond: Death and Afterlife in Ancient Greece”, also hosted at the Museum of Cycladic Art from December 11th, 2014 to February 8th, 2015. The exhibition addresses the ever-unsolved question of what happens after human death, when the soul leaves the body. Through 120 display objects, the various perspectives of ancient Greeks about the afterlife and the essence of the soul are showcased. Initially, guests get acquainted with the depiction of death and the underworld in the Homeric Epics, but the presentation gradually moves on to Plato’s theory of the divine, pure soul. Five parts make up the entire display: the Moment of Death, Burial Customs, Homeric Hades, Bacchic-Orphic Hades and Platonic Hades. The exhibition is co-organized with the Onassis Foundation and the Hellenic Ministry of Culture. This year, the Municipal Art Gallery of Athens, celebrating 100 years since its establishment and 180 years of Athens as capital, is organizing a special showcase of artworks inspired by this city, hosting one of the most unique Athens museum exhibitions for winter 2015 in the renovated building at Koumoundourou Square, Pireos Street. The exhibition will be held until May 31st 2015 and will consist of more than 100 paintings, engravings and sculptures of famous artists, who presented and conceptualized Athens in their work. The display shows the city of Athens through different artistic perspectives, with depictions of both its glorious history and daily life. Art pieces of great Greek and foreign artists, including Ernst Ziller, Konstantinos Parthenis, Georgios Iakovides, Theophil Hansen and Fotis Kontoglou, are shown, forming 5 separate thematic categories: Decoration of the Town Hall, Athenian landscape-Archaeological sites, Daily life-History, Figures and Sculpture.